Large particles of mechanical impurities are a common problem present both in water from the well and waterworks, Standard mechanical pipe filters are not always dealing well with proper filtration. Moreover, the frequent cartridge change might be an issue. Ecoperla Sedimentower is much more efficient alternative to standard pipe filters. Large contact surface of water with filter bed ensures the filtration on the highest level. Filter bed used in the system is characterized by an extremely long service life. 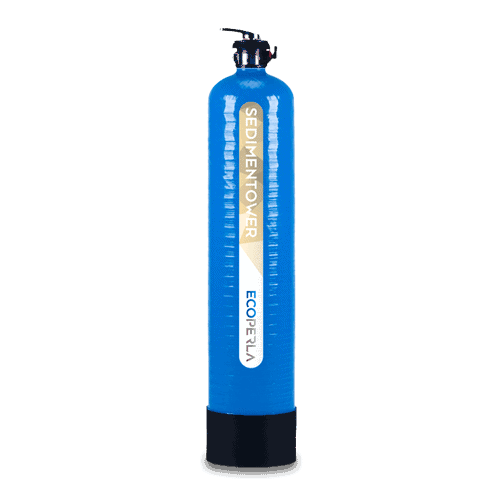 Ecoperla Sedimentower is a system consisting of epoxy bottle resistant to corrosion and manual control valve. It is available in three sizes. The filter bed is well-chosen mixture designed to remove from water large mechanical particles. It is characterized by long service life and extreme efficiency. Due to the manual control valve the user can themselves decide about the frequency and time of regeneration. This feature also has an impact on lowering the operating costs of the system. 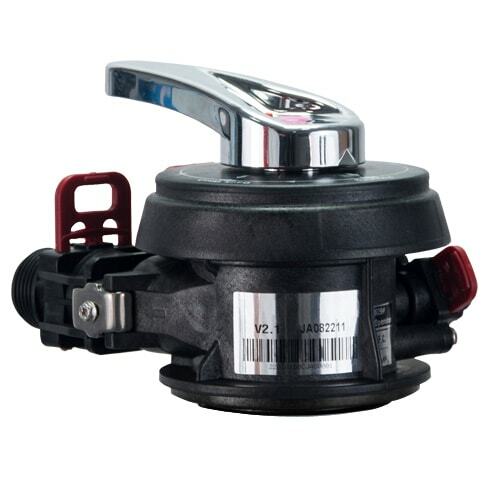 Ecoperla Sedimentower is equipped in manual control valve that controls flow. This allows to specify the frequency of filter bed rinsing which is strictly connected with the amount of suspension in the water. The lack of automation positively influence the total cost of the system. Due to this fact Ecoperla Sedimentower can compete in price with pipe water filters which require regular cartridge change. The filter bed is well-chosen filtration mixture that will easily remove from water all precipitated substances. Filter bed weight does not affect the pressure drop in installation. Large filtration surface will ensure the proper contact of water with filter bed. In the process of filtration the following particles are removed: mud, iron particles, rust, sand. Also the turbidity is reduced. The variants described have different capacities and dimensions. Product selection depends on the amount of pollutants and the desired performance. 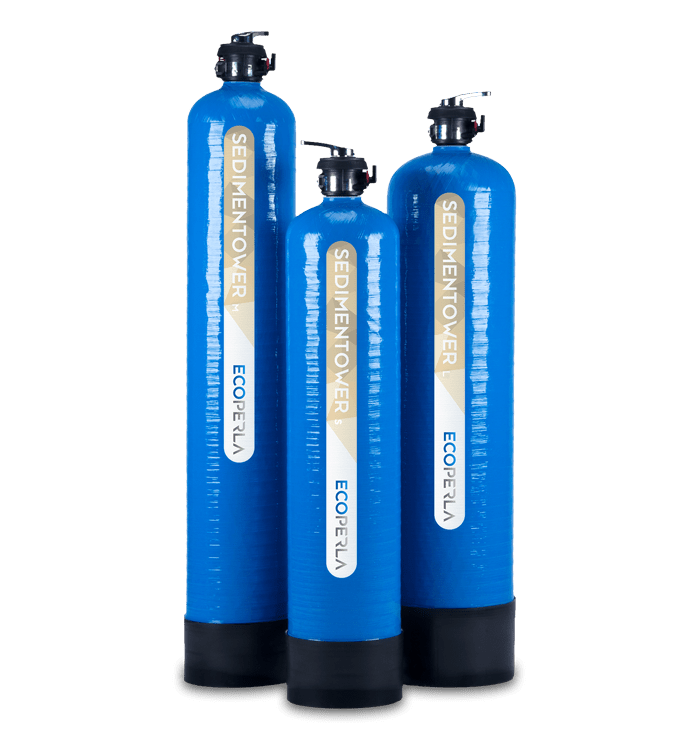 System’s description in a nutshell in other words everything that You need to know before purchasing the water purifier Ecoperla Sedimentower. Practical information and technical data about water purifier Ecoperla Sedimentower. User’s manual for water purifier Ecoperla Sedimentower. including all the information about the installation.